Most of us have been waiting for this moment since KH2 and with all the other titles in between, it was feeling a bit out of reach as to when the third installment would finally be released. How many more spin-offs could we possibly take? 5 years after it was initially announced back in 2013 (okay, technically 6 since it’s 2019), we are now at the point where the KH3 is literally a stone’s throw away and when the retailer doors open to serve the long line of gamers who are out to buy the same title, expect everyone on your friends list to be playing just that across all supporting platforms. Have you been waiting like I have or are you a Kingdom Hearts first timer? Whatever the case may be, allow yourself to be caught up in the hype because a game like this utterly demands it. All things considered, there are but 2 ways to approach this review, as a Kingdom Hearts noob or as a crazed “I’ve been waiting years for this!” fan. We’ll be dividing this review up into exactly those 2 sections and for the sake of such a game that almost everyone has waited years for, I’ll be keeping this short and sweet to preserve as much of the experience as possible because let’s face it, you’ll probably be playing the game by the time you get to read this anyways, right? That said, let’s jump right into it! First timers, step right in. To be honest with you, with how convoluted the Kingdom Hearts plot points are, nearly everyone could be considered a newbie to KH3. Kidding aside, if you are totally new to KH and do not know what to expect and just bought it because of the hype, read on. Kingdom Hearts is basically what you would get if Final Fantasy and Walt Disney had a baby together – Amazing RPG elements, surreal soundtrack, and a host of goofy (sorry) but endearing characters who join you on your adventure. You play as Sora, the main protagonist in the game, and are joined by Goofy and Donald as you set out to rid the world of darkness. Once you get over the fact that the oversimplified main objective is as cliche as can be, you’ll see a game that’s full of heart and personality seemingly enhanced by the charming supporting cast of Disney-Pixar characters that we’ve all come to love and enjoy. The game is very wholesome (because Disney) and you will soon find that the story revolves around the power of friendship and love, themes that are usually present in any Disney effort. It might get a bit cheesy at times but the game has a charm to it that even grown men can appreciate. Jumping head on into KH3 is a daunting task. From the get go, there is just a barrage of information and characters and themes but don’t worry, there is a “Memory Archive” feature where you can view cinematic clips retelling the story so far and while it won’t fully fill you in on all the small details, it is just enough to get you started on the journey that is KH3, which may even prompt you to pick up the previous titles (Highly recommended). It’s a 10-15 minute watch before heading into the main game, you’ve waited years anyways so what’s an additional 15 minutes? There are multiple “worlds” to visit in Kingdom Hearts and each one takes on a distinct theme – Tangled, Big Hero 6, Frozen, so on and so forth. If anything, one of the aspects of Kingdom Hearts that I love is the attention to detail in bringing these worlds to life. From the icy Arendelle to the bustling San Fransokyo and even Mount Olympus, each world is brimming with detail that it may sometimes feel that you are actually in a Disney-Pixar movie. Everything from the voices to the characters have been faithfully represented and just based on my experience alone, KH3 is a game that will make you glad you splurged a bit more on that HDR capable 4K TV last Christmas. Red Dead Redemption or Assassins Creed Odyssey may have jacked up the realism bar, but Kingdom Hearts 3 turns the knob to the opposite extreme as the look and feel and pop of color is vibrant and stunning. If you’re playing on enhanced systems (PS4 Pro or Xbox One X), then you’ll also be treated to a smoother gaming experience due to the game hitting a near consistent 60fps on almost all areas. It’s a magical feeling to see all of these IP’s come together and the feeling is well translated when actually playing the game. If you’re used to turn based battle systems such as the Final Fantasy games of old, Kingdom Hearts takes quite a sidestep, employing an action RPG battle system where you are free to roam around the playing area while you hack, slash, and cast spells to get rid of the bad guys. As you travel across worlds, you’ll be able to collect various Keyblades, your main weapon of choice, and use their special abilities when the going gets rough. There are so many attacks and combinations that you can employ as you may also choose to “link” up with Disney-Pixar personalities that will aid you in battle. Multiple special attacks that you can activate by pressing Triangle are also at your disposal, whether it be to summon attractions (which are basically theme park rides that deal massive damage) or to do team up attacks with your allies, so it would do you good to keep an eye out on the action menu on the bottom left part of your screen! Battles can get hectic sometimes and with all of the things happening at the same time, most of you may be forced to button mash your way to victory but going beyond that, I would suggest that you take time to learn the nuances of the fight as it really does feel more satisfying, especially in the harder difficulty settings where you can’t just mash your way to victory. This is where abilities come in, which you can gain as you level up, but be warned as you cannot equip all of the abilities you have learned all at once. You have a certain ability point limit (50 for example) and each ability has an ability cost that should not exceed your current limit, thus allowing for some optimal builds depending on your playstyle. Overall, battles are relatively easy and it sets you up for a fascinating spectacle of colorful effects and explosions. Don’t get intimidated if you may not understand everything fully. At it’s core, Kingdom Hearts 3 is a fully serviceable game that is both fun and fulfilling for newcomers. Sure, there are some plot points and references here and there to the previous titles that fans of the series will definitely understand but it should not diminish the experience of seeing and playing the game (and the series) for the very first time. Just the thought of seeing Donald, Goofy, Elsa, Hercules, Maleficent and others all in one world is well worth the price of admission. If you’ve played the previous games, you’ll fully know what to expect in KH3. In fact, depending on how you take familiarity, it could be a good and bad thing. By any stretch, there is nothing totally “new” in KH3, just more of the old slapped on with a shiny new skin. To some that may be a deal breaker but to others, that’s right about perfect. The camera is still a bit of a mess, as much as I had remembered it to be, and I personally expected a bit more out of the game, with my laundry list boiling down to an overarching “I wished that the game was longer”. As previously mentioned, the game will run you anywhere around 30-40 hours, which I find a bit short especially for RPG’s of this caliber. Don’t get me wrong, while I would have appreciated around 15-20 more hours, the experience that you have with KH3 is nothing short of memorable. Whether you’re 6 or 60, the kid in you will definitely jump for joy. I honestly felt chills just watching the clips from the Memory Archive and hearing the orchestral version of “Hikari” play in the background. While I’m no closer to fully understanding everything, it still remains a surreal feeling that took more than a decade to realize. Echoing our thoughts to when we had played the demo back during PSX SEA 2018, the feeling of playing a PS2 game is in full effect here, that’s how well the guys at Squeenix had recaptured the magic of the game. I guess that the gamer in me wanted more hours out of the game simply because I didn’t want the experience to end. Across all the new worlds that you’ll be discovering and all the personalities you’ll be able to meet, it’s amazing as to how much of an attachment you’ll make with the time you have, which is exactly why I am intentionally not giving out any details because just as I’ve experienced it fully, I would want you to feel every bit of emotion that the game had evoked out of me. As you reach the end of the game, the feeling is somewhat bittersweet. On one hand, after years of waiting, you’re finally playing KH3, a title that took years of love and hardwork. On the other, just like that, the wait is over in more ways than one. You know what? It’s alright. Finally, after all these years, we can be at peace and thank Tetsuya Nomura and his team for the masterpiece that they have delivered. As we wrap up a piece of our childhood, we look forward to more adventures in the KH universe but for now, KH3 is here and it has been nothing but magical. The world looks really good especially in 4K HDR. 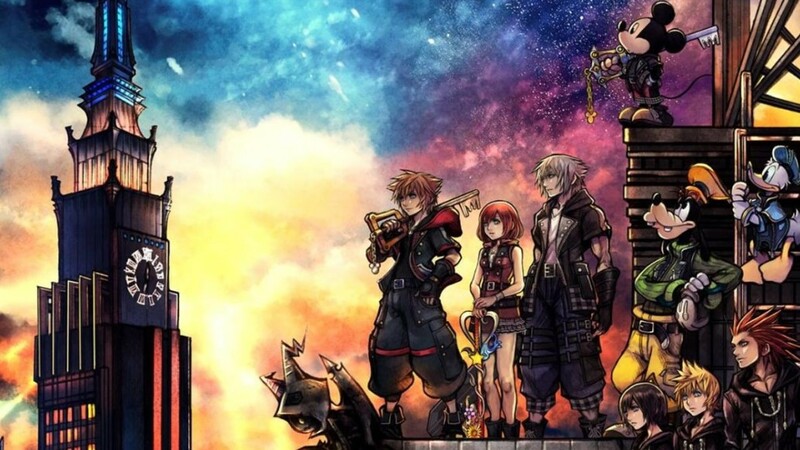 Whether you are a newcomer to the series or a long time Keyblade master, KH3 provides enough personality and heart that allows for an emotional and enjoyable game. The Memory Archive is a welcome feature, giving first timers a glimpse of the story so far and acts as a refresher before taking the fight to Xehanort. Battles are as satisfying as you can remember and with the enhanced consoles, each of the different worlds in the game pops out in vibrant color that is sure to have you making good use of the game’s photo mode. Overall, Kingdom Hearts is a grand time that is meant to be experienced fully. From the opening cinematic to the closing credits, I still don’t quite understand why it took more than a decade after KH2 but all I can say is that the next 30-40 hours of your time with KH3 will be well worth the wait. *Kingdom Hearts 3 was reviewed on a PS4 pro console via a review code provided by the publisher. Final Fantasy VII AND Kingdom Hearts 3 Delayed AGAIN! ?